Hugging the side of Monchsberg Hill is Salzburg's largest medieval horse bath. In the Middle Ages this was like a car wash for horses. In the "Sound of Music" this was where Maria and the kids danced around while singing 'My Favorite Things'. 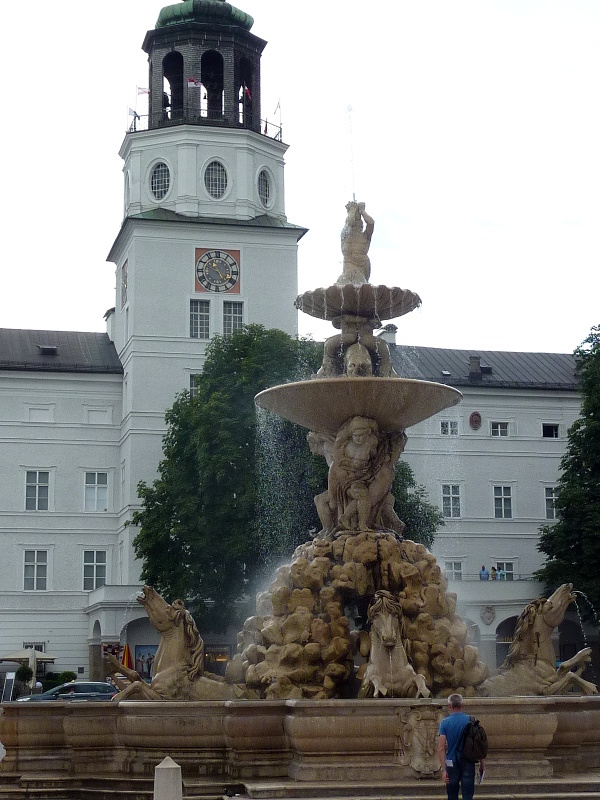 The Horse Fountain is the focal point of the busy Residenzplatz Square. This large square is well known to movie lovers as the place where the Von Trapp family performs 'I Have Confidence in Me' in the "Sound of Music". 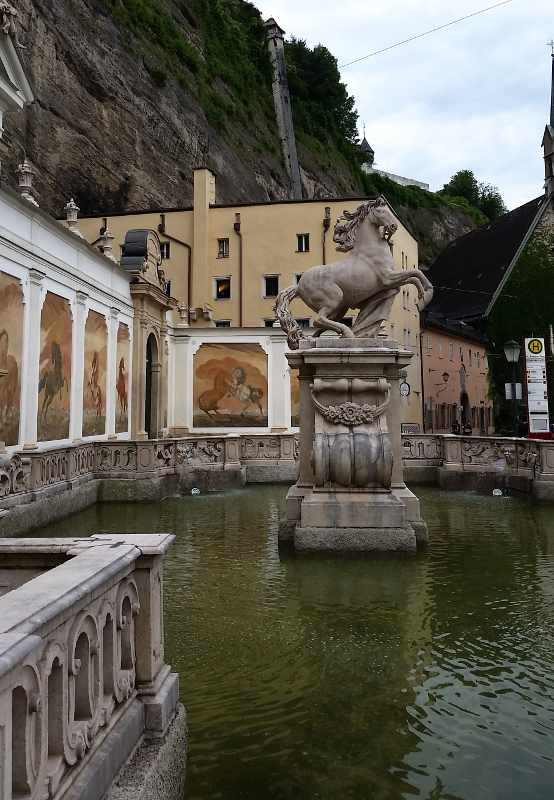 Maria enters through the Domplatz arches on the Southwest corner of the Square and splashes in the 45 foot tall Horse Fountain (Residenzbrunnen). 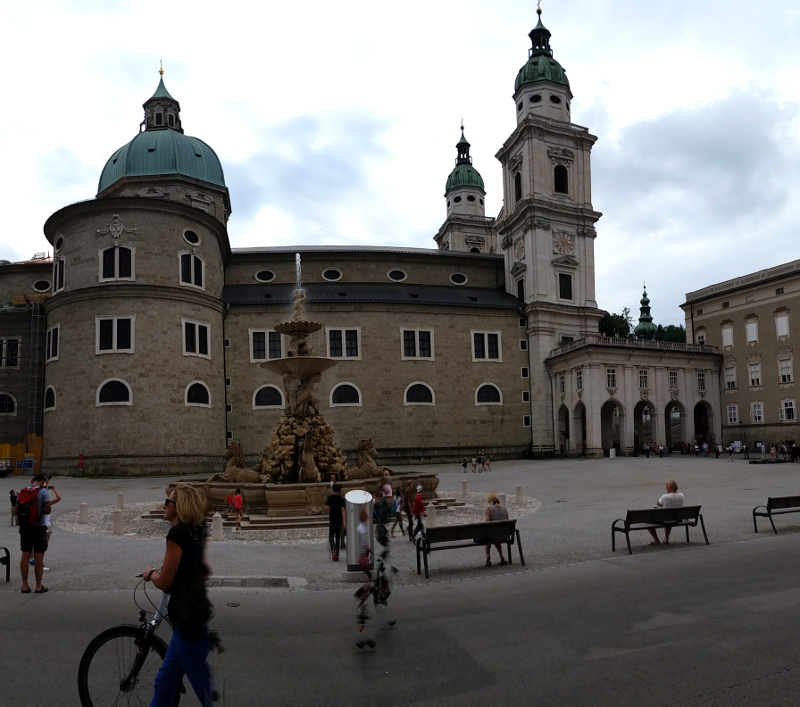 Completed in 1661, the Horse Fountain is considered the largest baroque fountain located outside of Italy.